Volcano notwithstanding, Hilo’s Paradise Roller Girls pulled off the 2nd Annual Big Island Brawl last month, with roller derby teams from across the state competing. 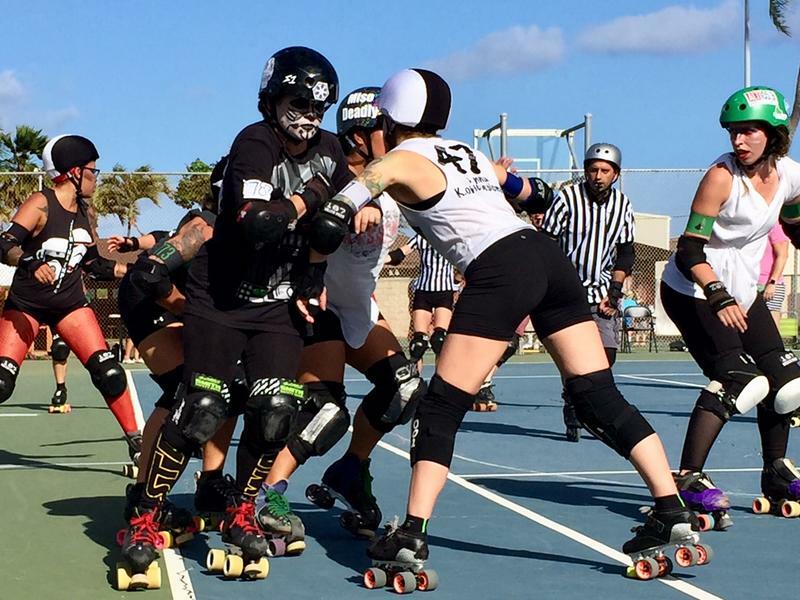 O‘ahu’s spunky team, Pacific Roller Derby, was there, and once a month they invite their Honolulu fans to a game. HPR’s Noe Tanigawa offers this report from the Coast Guard’s Hideaway Club at Kalaeloa.